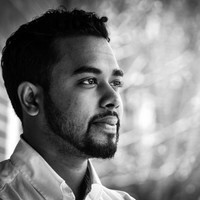 Mustafa Wahid is an award-winning entrepreneur and co-founder/CEO of TransitioningU, an early-stage educational technology start-up which whose mission is to transform a billion students lives within the next decade. He earned his BS in Biology/Psychology from Loyola University Maryland. He did his graduate work at the University of Baltimore being the first to be enrolled in both the prestigious entrepreneurship fellows program and the MBA program. Mustafa is proud of being the first in his family to go to college.